This show was the last of a four-night stand (27, 28, 30, 31 December) at the Tower Theatre. Recent events, recounted in my review of the Crystal Cat Roxy performance, had given Springsteen much publicity and a national profile. Ninety thousand people consequently applied for tickets to see him at this three thousand seat venue. The first thirteen of the eighteen songs played appeared on the double LP Born To Rock (Ruthless Rhymes). The complete show, together with the previous evening’s performance, appeared on the four-CD set Teardrops on the Tower (Palace Records). This nine-song selection has recently appeared as The Lost New Year’s Eve (Vintage Masters) and Mountain Of Love (Godfatherecords). It might seem strange to release what is effectively half the show, but the reason for this is explained in the sleeve notes of the Godfather version: “The nine songs included in this release are taken directly from the 1976 production reels of some multi-track mixes recorded to be part of a live album. The reason that this live album failed to appear is bound up with the power struggle between Appel and Springsteen’s future manager, Jon Landau. 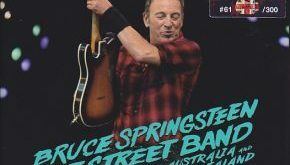 According to Dave Marsh, in his book Born To Run, Springsteen “felt that the band’s onstage excitement wasn’t ready to be captured yet.” Marc Eliot’s The Making Of Bruce Springsteen tells a different story, suggesting that Springsteen initially favoured a live release but was dissuaded by Landau. Landau had been brought in to co-produce Born To Run. He had not only handled production duties but had done much to sort out the impasse and get the album released. Appel, seemingly wary of Landau’s influence, told Landau that he would, of course, work on the next studio album, but that he would not be required for the live LP. In a seeming attempt to marginalise Landau, Appel also pointed out to Springsteen that “it would be foolish to have Jon Landau as a producer of a live album where he had no experience.” As is well known, Landau supplanted Appel as Springsteen’s manager and no live album appeared. However, collectors now have the opportunity to hear some of the songs recorded for the album in glorious sound quality. Godfather’s CD begins with Springsteen and the band crashing into the show’s opening number, Night. The sound quality is very good indeed, though not quite as good as the sleeve notes would lead one to expect. Clarence Clemons’ saxophone sounds slightly recessed and Springsteen’s voice lacks a little presence. Perhaps, as it was the first number, Iovine had not yet been able to get the balance quite right. Next up is a slow rendition of Tenth Avenue Freeze-Out and from here on the sound is superb. Spirit In The Night follows, played with great bravura, and, as often, with the climax of the story slowed down, much to the audience’s delight. Does This Bus Stop At 82nd Street? is one of the highlights of the show, played with tremendous joie de vivre. This is one of those shows where the band are clearly having as much fun as the audience. The next song, The Animals’ 1965 number It’s My Life, is a total contrast to such high spirits. The song is, as was often the case, prefaced by a lengthy story recounting Springsteen’s fraught teenage relationship with his father, Douglas. Reactions to such accounts vary. Dave Marsh wrote in 1979 of the emotional impact of such tales, stating that “Springsteen’s stories were rarely of the random, shaggy dog variety.” Christopher Sandford, in complete disagreement, writes in his book Point Blank (1999) that at this time, “Springsteen also began to salt his gigs with more shaggy-dog stories starring Doug.” He also refers to these stories as “dire interludes.” I fail to see how Sandford cannot recognise the poignancy of this particular story. Springsteen recounts how Douglas would wait up in the dark for him and how, if he came home late, he was scared to go into the house to face his father. The inevitable result would be an acrimonious exchange, in which Springsteen would counter his father’s criticisms by saying that it was his life. 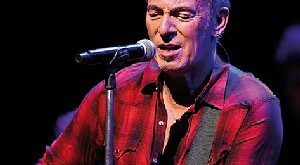 The music, particularly Clemons’ saxophone and Roy Bittan’s piano, rises and falls in a superbly atmospheric way behind Springsteen’s voice, adding to the story’s poignant effect. 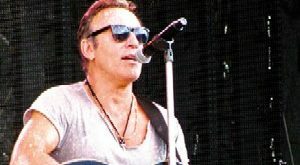 The performance of the song itself is full of resentment and bitterness, and when Springsteen sings, “it’s my life and I’ll do what I want,” it appears, as it surely should, a hollow boast. There seems to be an early recognition here that one does indeed find nothing but darkness on the edge of town. The next song, the Manfred Mann number Pretty Flamingo, also contains a long spoken prelude, this time telling a story of young men (Bruce and his friends) in thrall to a beautiful woman who is beyond their reach. Though this is a strong performance of the song itself, the story perhaps does qualify as one of Sandford’s “shaggy-dog stories.” Certainly it is both less amusing and less affecting than the version prefacing the song in its earlier Roxy performance. The show continues with a spirited performance of It’s Hard To Be A Saint In The City which ends with some guitar interplay between Springsteen and Steve Van Zandt and a joyous Mountain Of Love, which has the audience clapping along immediately (and which is completely at odds with the lyrical content of the song, which deals with a man jilted by his bride-to-be). The selection of songs from this show concludes with the epic Jungleland. It was New Year’s Eve, the last date of the Born To Run tour and the show was being recorded for a live album. One imagines that all these factors contributed to an absolutely superb performance by Springsteen and the E Street Band. This show is also noteworthy because it contains three songs immediately dropped from the live set. Tenth Avenue Freeze-Out remained unheard until the acoustic Christic Institute performances at the Shrine Auditorium, Los Angeles, CA on 16 and 17 August 1990; Does This Bus Stop At 82bd Street? 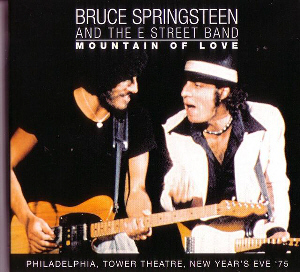 did not reappear until it opened the show at the Count Basie Theatre, Red Bank, NJ on 23 March 1993; Mountain Of Love (a Harold Dorman song which was a particular favourite of Springsteen’s and had been played often) has not, to my knowledge, been performed since. Unlike the Vintage Masters issue, Godfather’s version contains three bonus tracks, recorded at Joe’s Place in Cambridge, MA on 6 January 1974. (Some concert listings give the venue as Boston, presumably due to Cambridge’s location in the Greater Boston area.) The sound here is also very good indeed, though obviously it cannot match that of the Philadelphia show. Growin’ Up kicks off the trio and this is followed by an excellent rendition of Zero And Blind Terry, superior to the now-familiar version that first appeared on the LP Fire On The Fingertips. Lastly there is a version of Rosalita which, as with several other shows at this time, incorporates a brief but frenetic excerpt from Junior Walker & The All Stars’ 1965 hit Shotgun just before the band introductions. This release comes in Godfather’s usual tri-fold sleeve with some nice on-stage photographs from the era. This is a release characterised by stunning sound, superb performances and a thoughtful choice of bonus material. 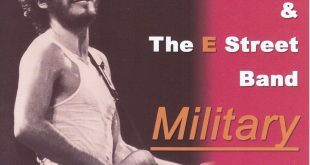 Godfather has produced an excellent CD that should be in every serious Springsteen devotee’s collection.